Robinson joins past recipients including Billy Graham, Carl F. H. Henry, Charles Colson, Benjamin Carson, Tony Hall, Rick and Kay Warren, John Perkins, N.T. Wright and Tim Walberg, all of whom have modeled Christian engagement in their respective eras and leadership roles. "Bill has worked tirelessly as an outstanding statesman for Christian higher education throughout his career, and I could not imagine a more worthy recipient for this important honor," Whitworth President Beck A. Taylor says. 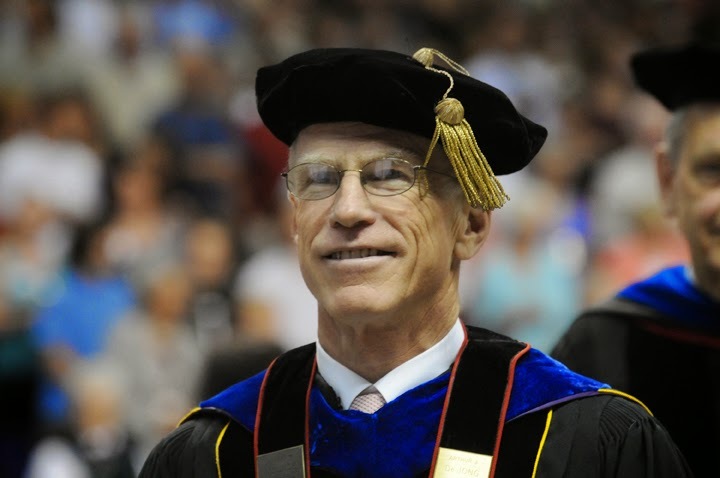 "There are few people who can stand taller than Bill as an example of leadership, and there are even fewer who can better articulate why ideas and faith complement one another so well in Christ-centered higher education." Robinson spent more than two decades serving as a college president, first at Manchester College (now Manchester University) in North Manchester, Indiana, from 1986 to 1993, and then at Whitworth University, Spokane, Wash., from 1993 to 2010. He is currently the president emeritus at Whitworth and chair of the board of trustees at Princeton Theological Seminary. Senator Hatfield, the award’s namesake, committed his life to politics after serving in the Navy during World War II. He was Oregon’s governor and secretary of state and also served the state with distinction for 30 years in the U.S. Senate. He was known for his staunch faith and was a longtime supporter of the CCCU. The Council for Christian Colleges & Universities is a higher-education association of 176 intentionally Christ-centered institutions around the world. Its member campuses in North America, which number 120, are all fully accredited, comprehensive colleges and universities with curricula rooted in the arts and sciences. In addition, 56 affiliate campuses from 19 countries are part of the CCCU. The council’s mission is to advance the cause of Christ-centered higher education and to help its institutions transform lives by faithfully relating scholarship and service to biblical truth. Visit www.cccu.org for additional information.